The Vector™ modular metering platform delivers adhesive to a variety of applications with extreme accuracy. This flexible platform shares a common pump base and can be easily configured for use with other applicators including slot, spray and bead. 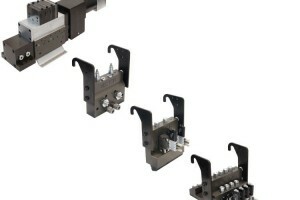 The Vector™ platform can also be utilized as a stand alone metering station.